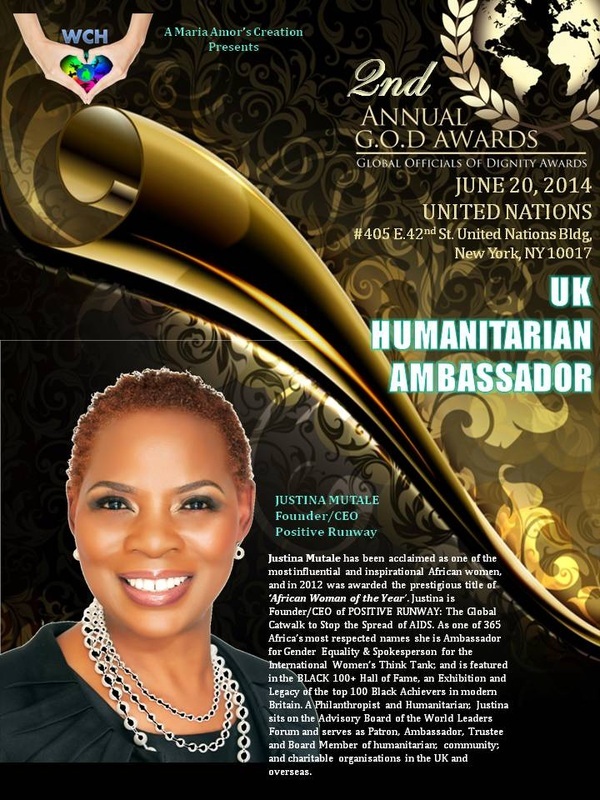 Justina Mutale has been appointed International Ambassador for the Global Officials of Dignity (G.O.D.) Awards, which takes place at the United Nations Headquarters in New York. Ms Mutale, who is the Founder & CEO of POSITIVE RUNWAY and world recognised African Woman of the Year is an Emeritus Honorees of the G.O.D. Awards. She joins some of the world’s greatest humanitarians who are bridging the gap in power and influence to the peace and welfare of the human race. “Because of your unpararelled contributions to society, we would like to invite you to become one of the International Ambassadors. May your power and influence emanate triumph to the missions and visions of the G.O.D. 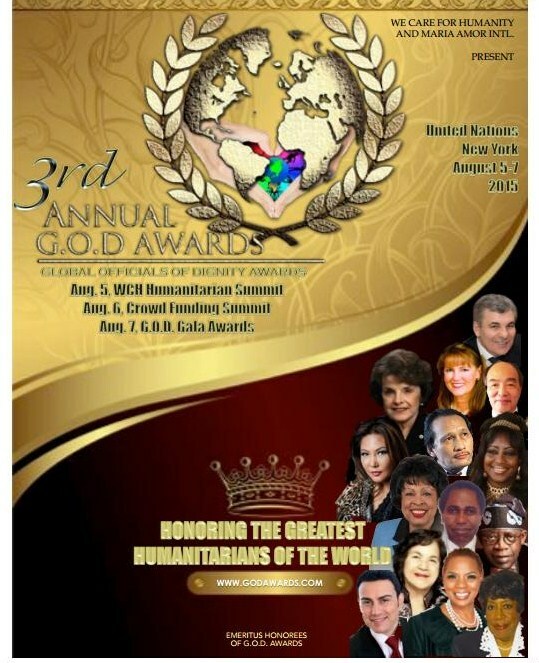 Awards”, stated Ms Mutale’s letter of appointment signed by the Founder & President of We Care for Humanity, Her Royal Highness Princess Maria Amor Torres, who is the Creator & Chairman of the Global Officials of Dignity (G.O.D.) Awards. The G.O.D. Awards honours the greatest humanitarians in the world to raise universal humanitarianism through the WCH Humanitarian Summit and Crowd Funding Summit. The Summit and Award ceremony is attended by luminaries and G.O.D. Awards’ most esteemed Honorees, Distinguished Speakers, and VIPs who belong to the upper echelon of Diplomacy, Royalty, Business, Education, Art and Philanthropy. 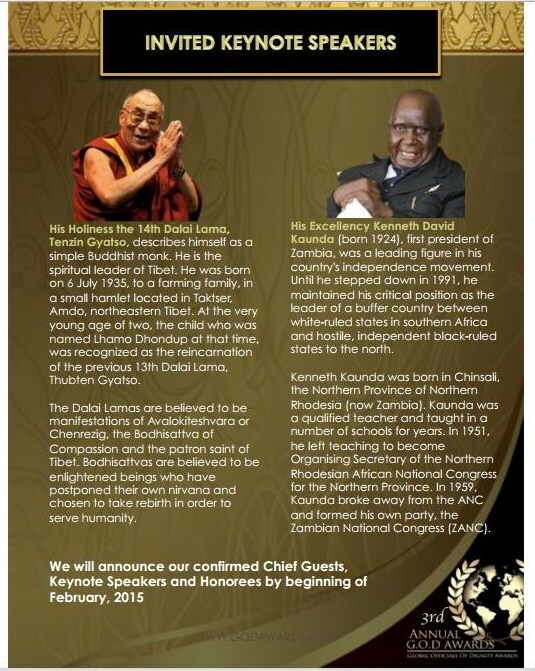 Invited Keynote Speakers include Tibet’s spiritual leader, the Dalai Lama and Zambia’s first Republican President, Dr Kenneth Kaunda. We Care for Humanity and its philanthropic partners will host one of the biggest collaboration in the history of philanthropy at the 3rd Annual G.O.D. Awards ceremony, which will be held at the United Nations Headquarters in New York in August 2015. The event attracts people from faraway places who travel across the globe to celebrate humanitarian efforts at the very place that fosters unity in nations and to advocate Human Rights, World Peace, Green Environment, Education, Health, Empowerment and the Eradication of Poverty. Previous recipients of the G.O.D. Awards include members of some of the world’s ancient Empires, Kingdoms and Royal Dynasties who are involved in humanitarian work across the globe.